Our refurbishing, consulting, and inspection departments are here to keep you moving. We secure your operation's safety and reliability, and maintain your good name. Our experienced, qualified inspectors and refurbishing technicians conduct regular OSHA safety and performance inspections. 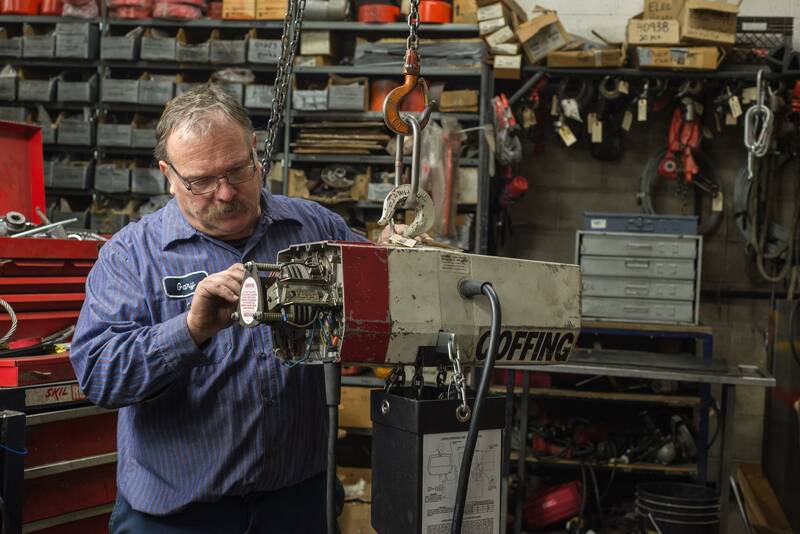 Get quality, reliable service with our hoist refurbishing and hydraulic pump refurbishing services. Just when you fully understand OSHA regulations and the options for your facility, things change. We can help!